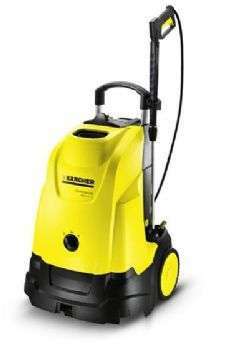 Ideal entry-level model hot water pressure washer for commercial end users. Cleans at up to 80 degrees to help break down heavy dirt and grease. Tidy cable wind up with plug lock, and nozzle compartment on back of machine. Fine mesh filter built into water supply connection to help protect the pump.